A Message from the 1st Vice President – 09-2018 | F.F.A.M. Greetings! Hopefully you have had an opportunity to enjoy the summer as once again a simple blink of the eye and it seems like it is already ending. Normally a time filled with activity including vacations, local and state fairs, sports and other events. Unfortunately for many of us it has not been a time filled with much if any needed rain. 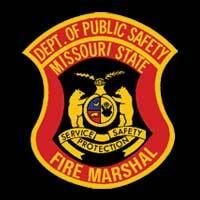 Speaking of fairs, the Missouri State Fair has come and gone and from all reports the staff of the Missouri State Fair Fire Department did another outstanding job serving all visiting the fair. Great work folks! This edition, let’s talk a little about convention. 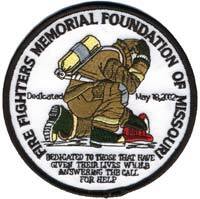 As you are or will become aware as you read this edition the FFAM 2019 Convention is being hosted by the FFAM Board of Directors and is being planned for April 12-14, 2019. Put those dates on your calendars and as soon as we develop more information concerning the planned events, lodging and other news we will let you know so you can make plans to be there. What is convention? The dictionary, an old paper version of a google search for a word, defines the word as the summoning or convening of an assembly; an assembly of persons met for a common purpose; a meeting of the delegates of a political party for the purpose of formulating a platform and selecting candidates for office. Okay, so what is the FFAM Convention? The FFAM Convention draws a little from all portions of this definition. We do summon our members, we do meet for a common purpose and it is a meeting of the delegates, in our case for our annual meeting. So let’s look at each of these elements just a bit. 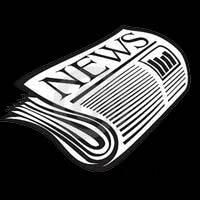 Just as this article and parts of this publication point out, we are reaching out to all of our members and asking that you participate in the convention. Now we all know that not everyone can be there, somebody has to work or our citizens might not be real pleased with us, but hopefully everyone not working that weekend will be able to attend some if not all of the events. We obviously meet for a common purpose (s), each providing different significance to the individuals attending. 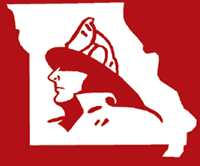 Whether you come for the vendor displays, the challenge contests, the awards and scholarship recognitions or just the opportunity to socialize with members of the fire service from across the state there is something for almost everyone to enjoy. Of course the big issue included in this weekend event is the meeting of the delegates for the annual meeting of the organization. The vendor display may not rival FRI, FDIC or MU FRTI Winter Fire School, but we do try to have vendors on hand that deal in products or services that benefit members and families associated with the fire service. This vendor display has bounced back and forth from two days down to one and we are still trying to find the best fit to allow our members time to visit the vendors and make the experience worthwhile for the vendors, it is not an easy marriage. So whether this ends up one or two days we ask that you take the time to stop at every vendor booth and visit with them about their products or perhaps about your needs, which may guide future product offerings. Without the support of the vendors the individual member cost would surely rise so plan some extra time in your schedule and visit the vendors. The challenge contests are an excellent way to show off your particular group’s abilities to perform many basic fire related tasks with ease and speed sometimes only rivaled by the graceful gazelle on the plains of Africa. Remember there is more than one category for teams so be you man, woman or junior you are welcome to participate. As a side note, I would recommend a little practice as some of these teams have been active for years and quite simply put up a pretty good fight. The challenge contests information is available on the FFAM website on the “Contest” tab, so go there now and start your preparation. Hopefully every member department can muster at least one team and make the contests a bigger and bigger event every year. The awards and scholarships are announced at the banquet held Saturday evening. This is an opportunity for the FFAM to recognize many worthy members for actions taken since last February and gives us an opportunity to assist with the educational efforts of youth and adults. If you haven’t taken the time to review the awards categories go to the website and check out the “Awards” tab under committees and see if there isn’t someone in your area deserving of some extra recognition. Nominations and scholarship applications are all due by February 28, 2019, but can be submitted any time prior to that deadline. The one remaining element that is dictated by the by-laws of the organization is that we hold an annual business meeting. That will be held Sunday morning and is the membership’s opportunity to take an active part in the governance of the organization. Each member agency can identify voting delegates who will take action on proposed motions or changes. Your vote really does matter and just might be the deciding vote that either moves an issue forward or sends it back for perfection and submission at a future annual meeting. If you like the direction of the organization you should make sure you are present to help keep it on course and if for some reason you are not satisfied, then this is your opportunity to make that known in a constructive way that could shape the future of the organization. Of course I have left one part of convention out until now: Socialize. 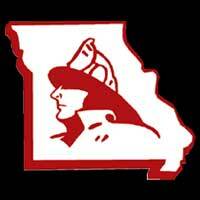 You can choose how you want to socialize, but no matter how you go about it this is one of the best opportunities you will have to meet with members of the fire service from all over the state. Where else can you go and discuss fire service related issues in a casual setting and make friendships across the state. We provide ample opportunity for you to socialize so we just need you to plan on participating. The vendor area gives you an opportunity to visit with not only the vendors, but the others attending the event. We normally have a social event on Friday and of course another social opportunity following the banquet. For those that ask are there adult beverages present, the answer is yes. The intent is not to offend anyone so no one is ever expected to participate in that aspect and of course we enforce strict adherence to age restrictions. We strive to make the social events pleasant for all attending and encourage everyone there to use common sense and participate in moderation. So that is the basic rundown for what the FFAM Convention can be. Now to make it all happen, and to keep similar events taking place in the future we need each of you to plan on attending. For those of you that are interested in a good contest, sign up to compete, for the rest of us we will just be there to cheer you on. Remember to get the dates of April 12-14, 2019, reserved on your calendar now and we will distribute additional information about costs, lodging and yes, for those of you that want to camp that will again be an option, and the schedule as we finalize each component so you will have adequate time to plan. We hope to see as many of you as possible at the convention! As always, if I can be of assistance please contact me.